Scotland's own George McBride is widely known amongst the underground magic fraternity as a card handler of superlative skill. A contemporary of Roy Walton, Gordon Bruce, Jerry Sadowitz and Peter Duffie, he is a master technician and renowned for his ingenious trick construction. George McBride's McMiracles With Cards is the definitive collection of all the routines George has developed and refined over the last decade of obsessive work. Avoiding overly complex and unnecessarily labyrinthine structures these tricks are honed into laser focused, streamlined masterpieces. Everything on this project is a trick you WILL WANT TO PERFORM! Over a staggering 2 hours, George unleashes 17 routines, carefully structured into 4 'sets'. The material ranges from incredibly easy to do, right through to 'that is something I want to do when I grow up'. The wealth of knowledge squeezed into this project is breathtaking. Technique, construction, overlapping method, awe inspiring sleights - it's all here! And you can learn the lot! "The aptly named McMiracles With Cards is a DVD featuring a variety of top-bracket card routines. The methods are clever and totally baffling and will suit all skill levels; from self-working to advanced. Fans of George's previous work can expect excellent trick-construction along with careful attention to fine detail. This is a collection of card magic not to be missed." "George has been very generous in explaining some of his finest creations. His technical skill and use of misdirection should be studied by every aspiring card handler." "George handles cards beautifully and is a man at the top of his game. 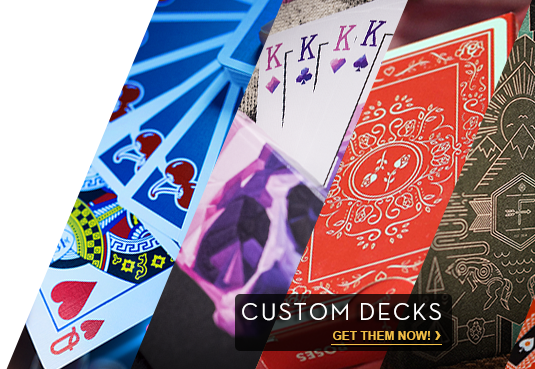 Card enthusiasts around the world are going to love this collection." "I had the pleasure of attending George McBride's lecture and hanging out with him at a convention in Buffalo, NY a few years ago. Based on that weekend I happily and heartily recommend anything he puts out - sight unseen!" "George's, 'Cards to Pocket' ALONE is worth the price of this DVD. But there are many, many more treasures to be found within this collection." "George McBride is one of the most gentlemanly people you'll ever meet. Do not let that fool you; his card work is devious, well thought-out, and will absolutely astound your spectators. I've had the honor of watching him work in person. Once you watch this DVD, you'll understand why I believe George is among the best in the world."